Wat is dit voor site? Wij zoeken de goedkoopste boeken op internet. Hunters of the Great Northvonden we het goedkoopst op Bol.com voor €39.99. We hebben gezocht in nieuwe en tweedehands boeken. Rechtsonderaan de pagina kan je het boek direct bestellen	via Bol	.com. 1922. With Illustrations. Between 1906 and 1918, anthropologist and explorer Vilhjalmur Stefansson went on three long expeditions to the Alaskan and Canadian Arctic. For supplies he relied heavily on local resources, and he adopted the Eskimo way of living, thus successfully demonstrating his theory that the rigors of existence in the Arctic are much reduced by the use of such techniques. He wrote voluminously about his travels and observations. 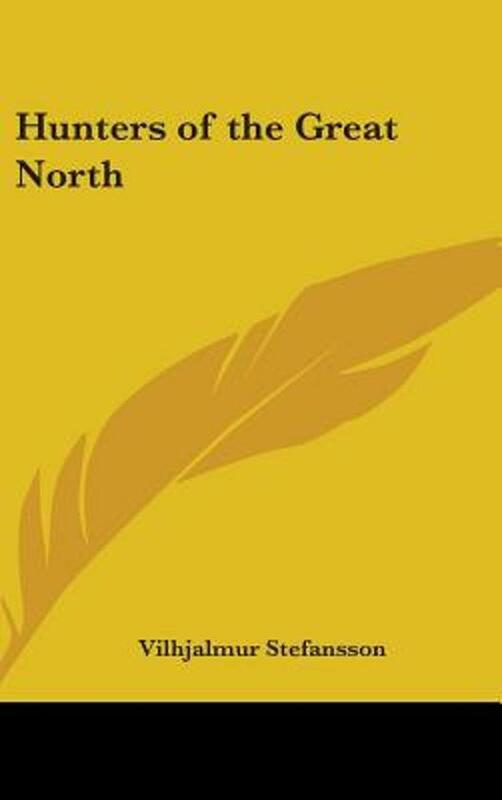 In this book, Stefansson tries by means of diaries and memories to tell the story of his first year among the Eskimos.